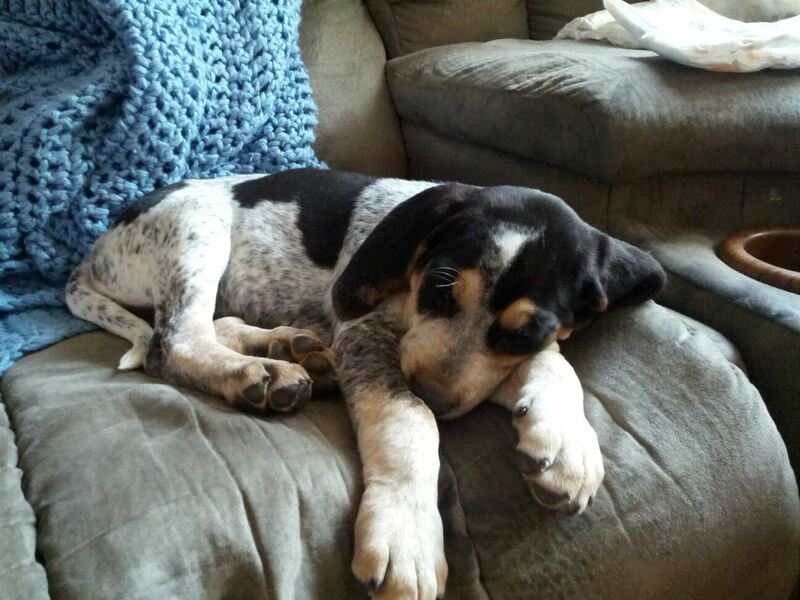 A Bluetick Coonhound puppy at eight weeks old. All Bluetick Coonhounds are either dominant black or black and tan with piebald spotting and ticking. This puppy is a black and tan base.